As can be expected, Ryan Reynolds absolutely NAILS the first image from DEADPOOL revealing his character's costume (Reynolds tweeted it today). It's very similar if not exact to the costume used in his test footage short. This is the one comic book hero movie I've been waiting for. Fans have been waiting a long time and have even been insulted somewhat (Deadpool was unfortunately mistreated in X-MEN ORIGINS: WOLVERINE) but I think Fox is now firing on all cylinders. The image looks PERFECT. 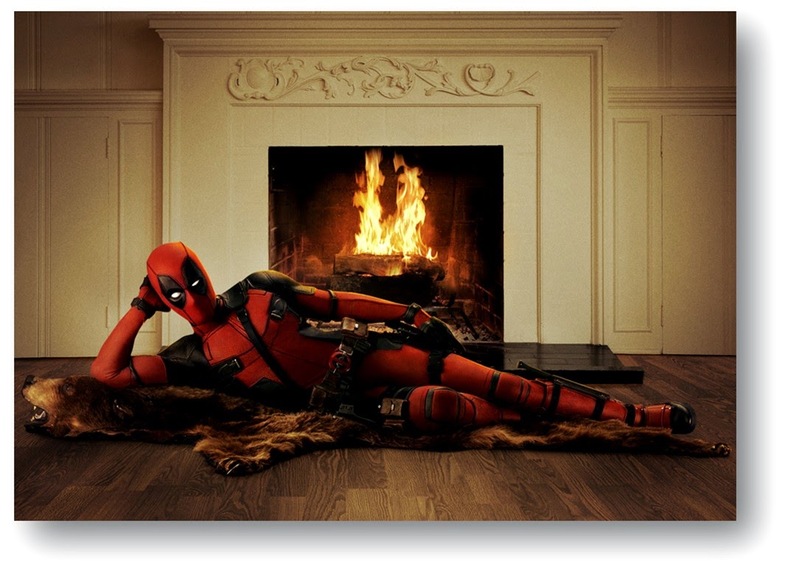 Based upon Marvel Comics’ most unconventional anti-hero, DEADPOOL tells the origin story of former Special Forces operative turned mercenary Wade Wilson, who after being subjected to a rogue experiment that leaves him with accelerated healing powers, adopts the alter ego Deadpool. Armed with his new abilities and a dark, twisted sense of humor, Deadpool hunts down the man who nearly destroyed his life. DEADPOOL ignites the fires on February 12, 2016. More news when we get it! And it goes without saying - This had better be a 3D release!